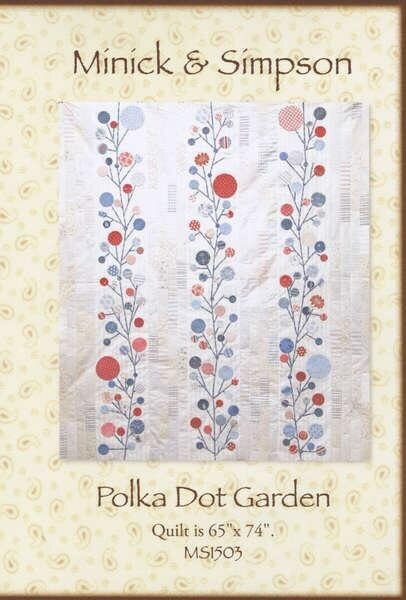 Polka Dot Garden quilt pattern designed by Minick and Simpson. 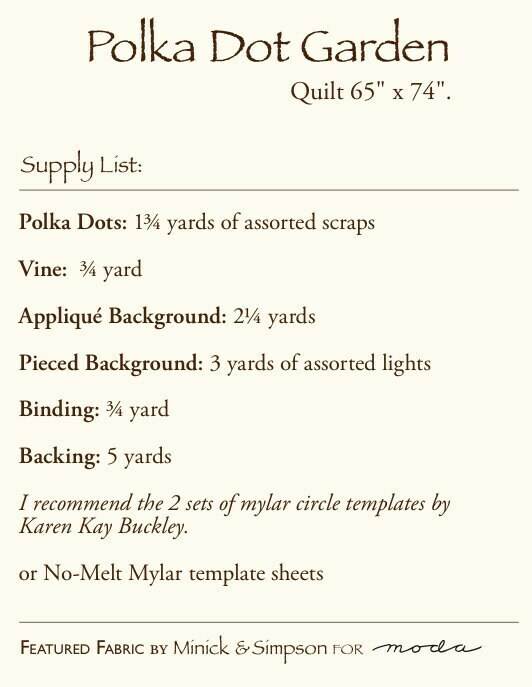 This appliquéd and pieced scrappy quilt measures 65" x 74". This pattern consists of 23 pages and has the entire quilt design in full size ... no copying, or enlarging is needed. Lovely pattern. Very happy with how quickly my purchase was processed and shipped. This is going to be so much fan ! 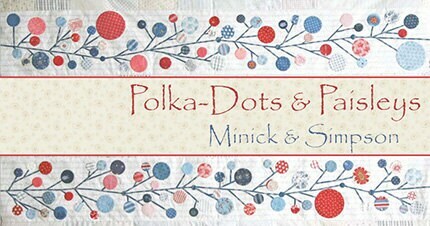 I have a great bunch of scraps to use for this wonderful pattern. Thank You. Item as described. Very quick shipping. Perfect, thank you !!! !